Private Villa On 700 M2 Plot 216 – For Sale! 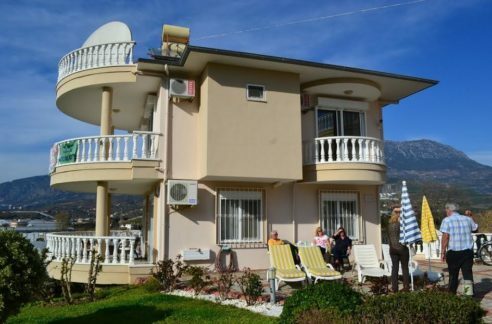 This Villa real estate in Alanya is located in closed complex of villas in Kargicak. 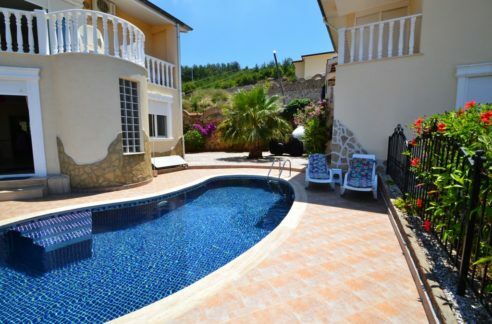 Kargicak is one quarter left and single villas. Find much nature and are still fast in the Centre. 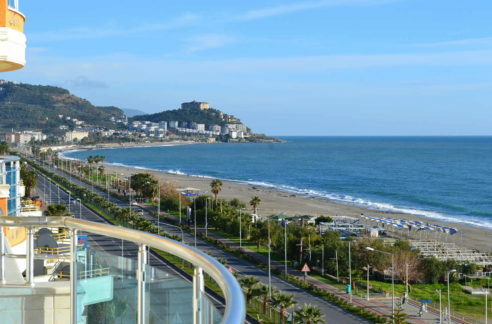 The plant is situated on the slope and you have lots of nature on the mountains and the Mediterranean Sea from anywhere from one unobstructed views over. The beach is around 2 km away and there are close to a grocer for your daily needs. We would like to introduce a villa of the upper class here. The House stands on a plot of approx. 700 m² and has a living area of 179 square meters. 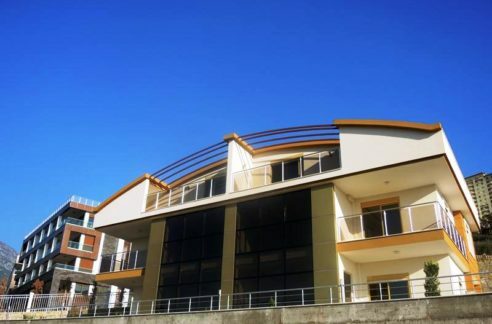 The Villa is divided into a large living room, kitchen, 3 bedrooms, 2 bathrooms, gesture-WC, storage room, balcony, terrace, 2 garages and a spacious roof terrace. 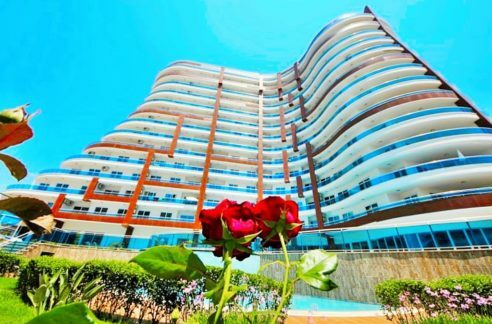 Great emphasis was laid on quality workmanship and good facilities. The area around the pool are laid with travertine, so the plot every season is easy to care for. In the garden you will find palms, roses, hibiscus and fruit trees. The property is offered with the complete device including.